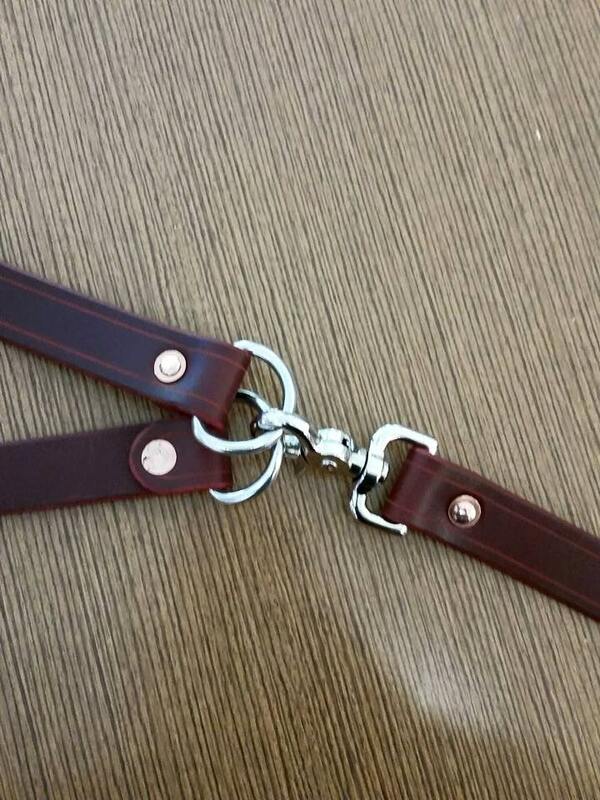 This listing is for a handmade leather dog leash. 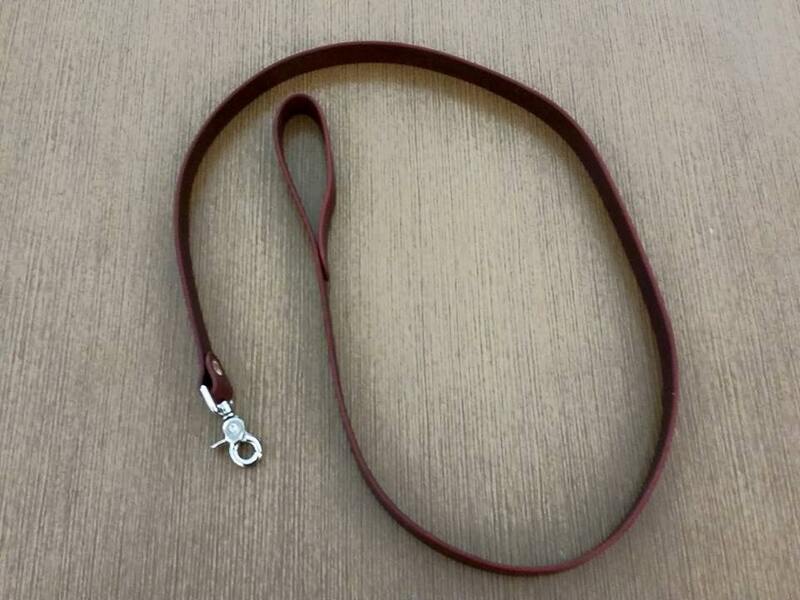 The leash is made of thick (8-10 oz) latigo cowhide (if the "Natural" color is chosen, the leash will be made out of Vegetable tanned cowhide), and is features a solid nickel plated brass snap-hook that is solid copper riveted in place to make it an extremely strong leash suitable for dogs of all sizes. 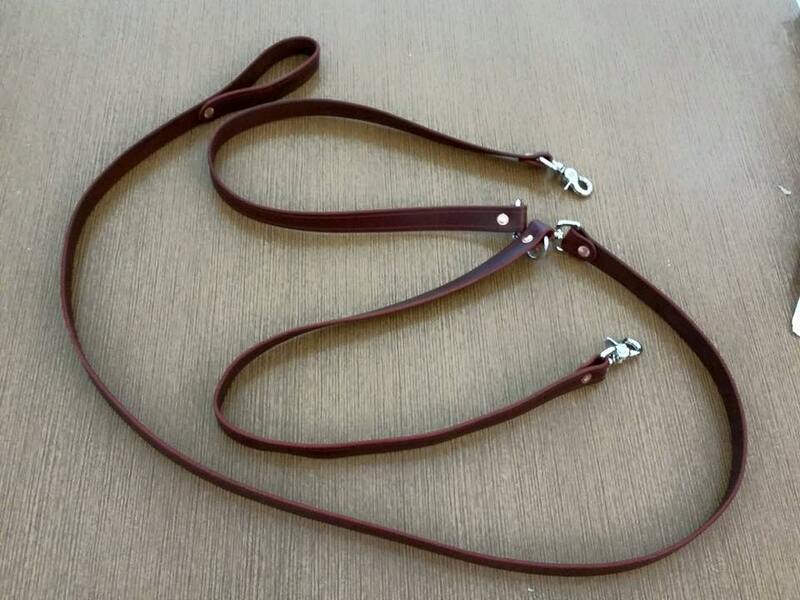 In addition to the single leash, this item features two extra shorter leashes that attach to the single snap-hook via solid welded D rings, and allow you to walk two dogs at once. The swiveling of the snap-hook makes it so that the two leash ends will not get tangled when the dogs randomly decide to change sides.